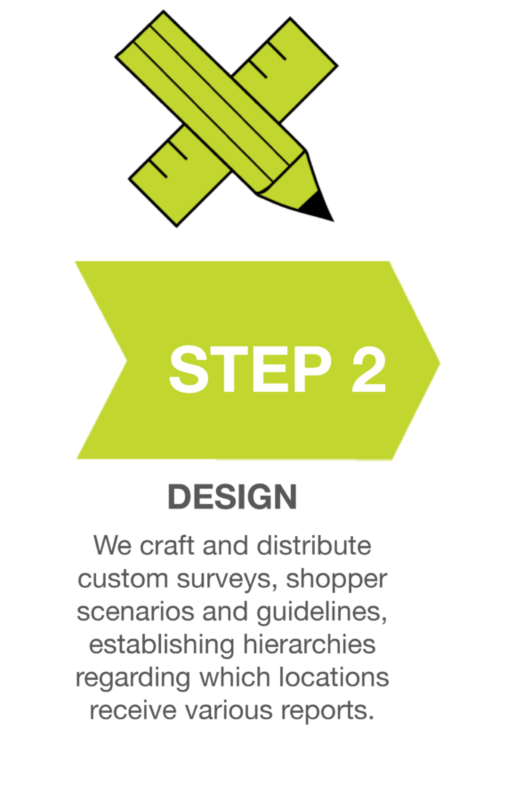 As you can see from the image above, our online reporting has a high level of customization. 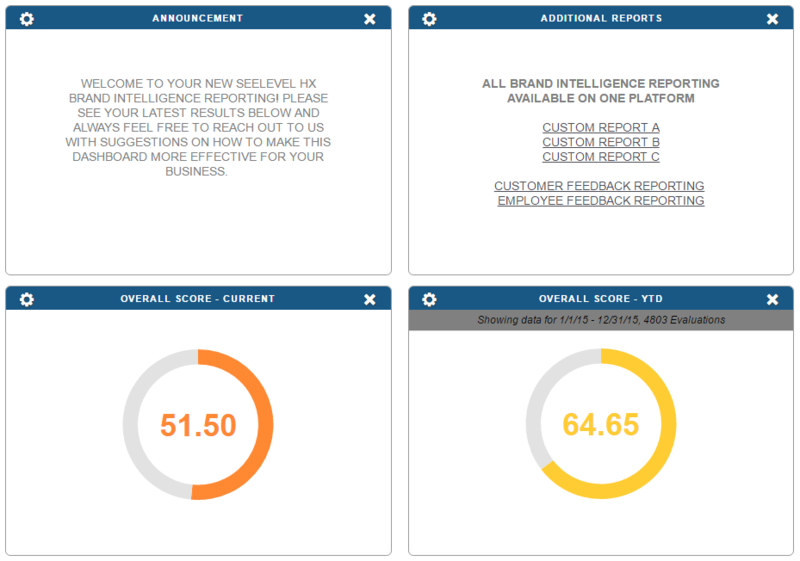 It allows you to place text your team needs to see, link to other reports for other programs, in addition to show you immediately what your current scoring is, alongside your year to date. Similar to the mystery shop report, this allows you to immediately see where your organization, district, region or location is currently performing from an aggregate perspective. 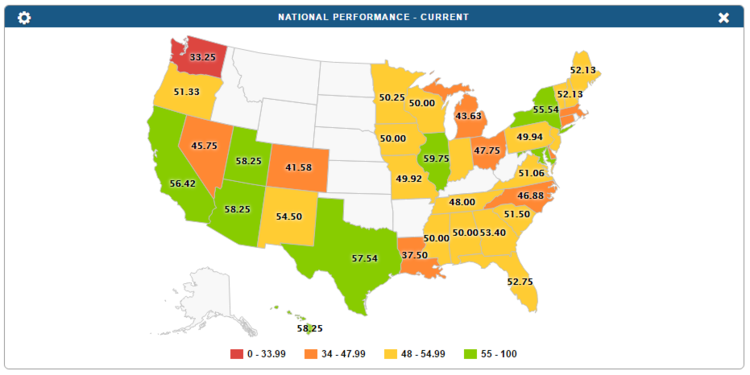 Immediately see how your organization is performing based upon state and geographic region. This map allows you to customize whatever scoring range you would like applied to the colors that inhabit the map. 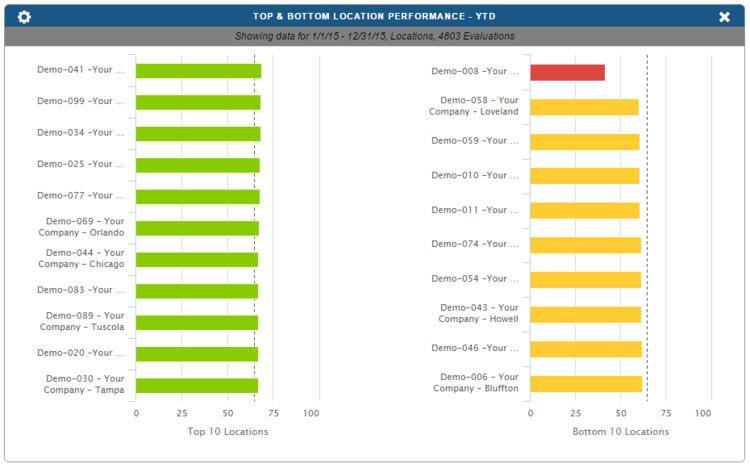 Here you can see your top and bottom location performance whether that include the entire organization, a specific district, region or organizational level, for those who have specific access to the system, they would see what falls under their purview. Overall performance provides a good indication of organizational trends and whether or not training adjustments that have been made are showing overall improvement. If you’d like to see a version of this reporting online and in real-time, please CLICK HERE.